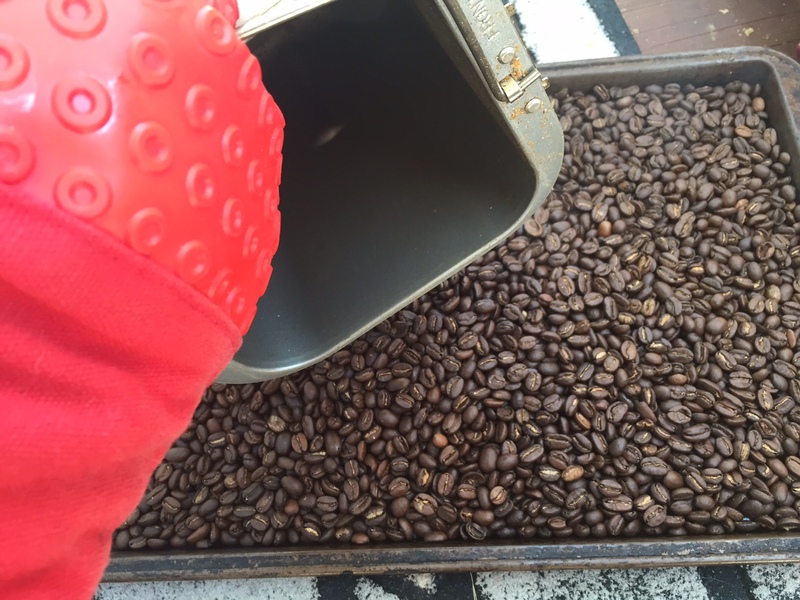 You read that right – how to roast coffee with a bread machine. If you've been a long time reader, or caught our segment on Nightline, you might know that I have been roasting my own beans for a while. And rather than spend hundreds on a nice coffee roaster, I've spent about $50 and can roast a whole pound at once in under 15 minutes. 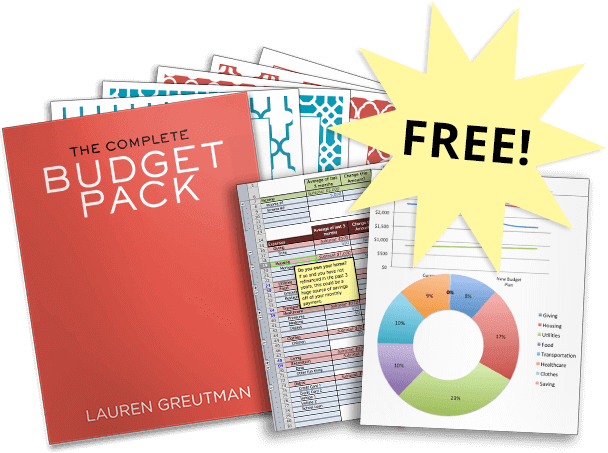 This post will take you through my setup and exactly how I do it. *** WARNING *** The products I use to roast coffee are being used in ways that the manufacturer would NEVER recommend. So roast at your own risk. Step 1: Get a bread machine. Here's mine. I got this at a thrift store for $8. A decent brand is always good (Breadman, Sunbeam, etc); and make sure it is a single paddle-style machine. If you find one at a thrift store, before you buy it, turn it on in the store and make sure it works and that you have all the pieces you need. Step 2: Get a heat gun. 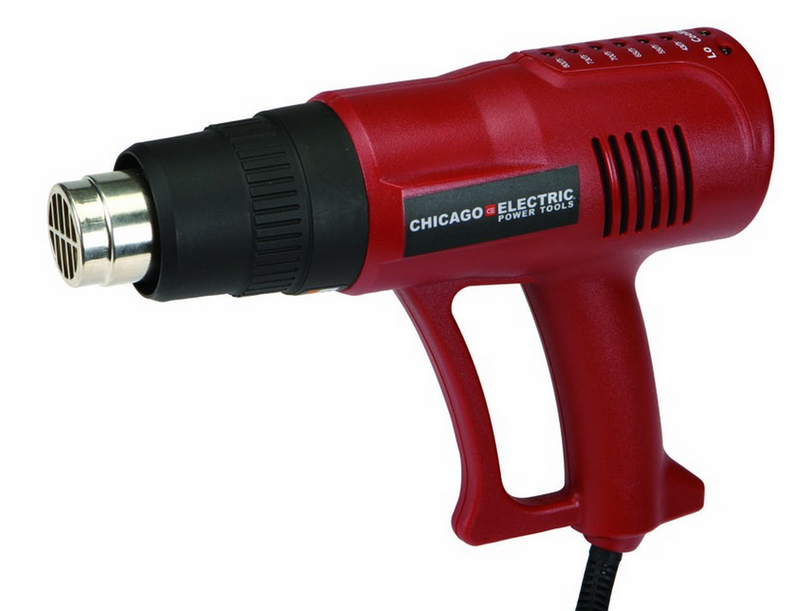 This one pictured is a Chicago Electric heat gun and it is the one that I use, and it is great… and really cheap too. It's only $30 at Harbor Freight. Here's a Porter Cable heat gun that's priced really well and also has a temperature control adjustment. 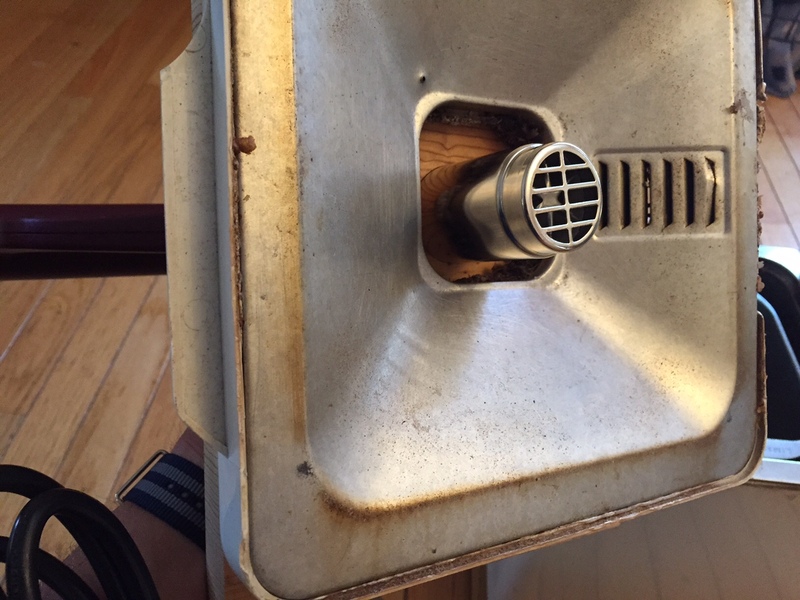 Make sure to remove the plastic housing around the metal heating element. You won't need this. Step 3: Drill a hole in a plank of wood. Look around in your garage or basement and find a plank of wood or plywood at least 6 inches across, and about 3/4 of an inch thick. 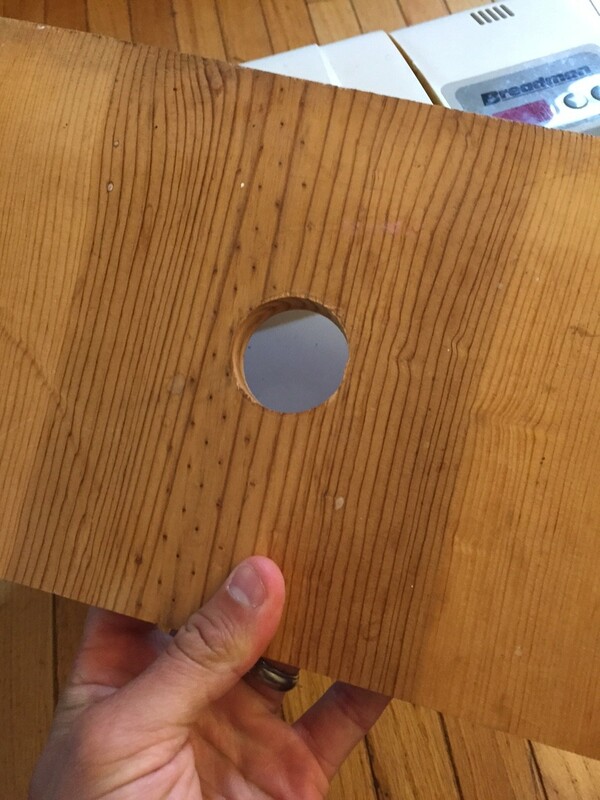 Find the center of your piece of wood, and using a hole saw or a forstner bit, drill a hole equal to exactly the diameter of the metal housing around the heating element. For the heat gun linked above, this is 1 & 1/2 inches. Step 4: Attach the wood to the lid of the bread machine. This really should be step 4a and 4b. 4a would be to cut a hole or remove any glass from the center of the bread machine lid. Enough so that the end of the heat gun will fit in. Step 4b would be to center the hole in the wood over the center of the lid, and screw it to the lid using 4 wood screws. Then place the heat gun in the hole. It should be a very tight fit, but make sure to push it in as far as it will go. Step 5: Buy green beans. I personally buy from Burman. They're great. Make sure to sign up for their newsletter to get their special deals. 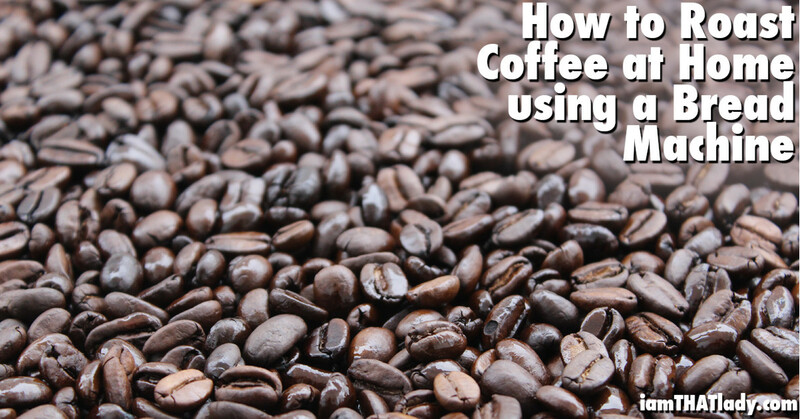 You can usually find GREAT coffee for under $6 a pound. But you might want to buy at least 5 pounds at a time. He ships in flat rate boxes, so the shipping price for 2 pounds is the same as it is for up to about 10 pounds (I think)… or however many he can fit in a flat rate box. The green beans stay good for several months before roasting them. Step 6: Get your materials and GO OUTSIDE. A heavy duty pot holder. Large cookie sheet or baking pan. 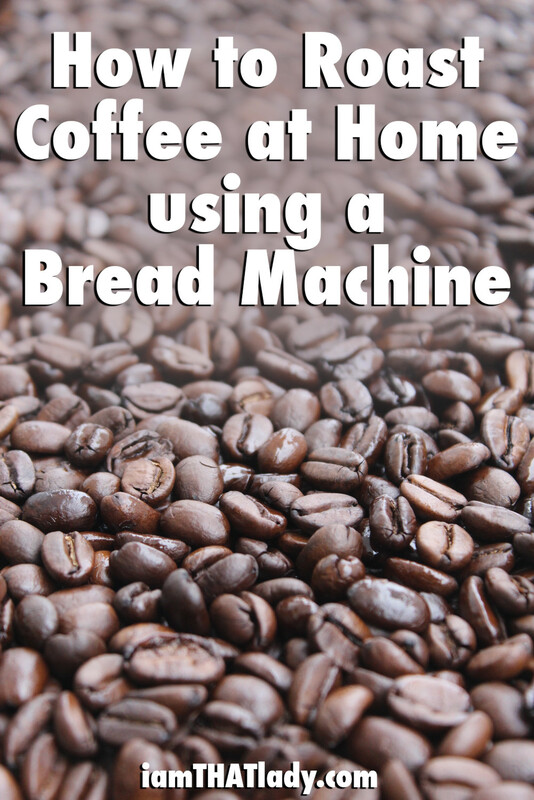 Step 7: Place a pound of coffee in the bread machine and turn it on. On your bread machine, you will want to find the bread making setting that runs the paddle the most. A constantly turning paddle is ideal, but even if it spins once a second, that will do. The setting I use spins once a second for the first 5 minutes, and then constant spinning after that. Or, if you're mechanically inclined, you could hotwire your machine and install a simple on/off button on the front that turns the paddle on and off. That's what my brother did… but I'm not nearly as mechanically inclined as he is. 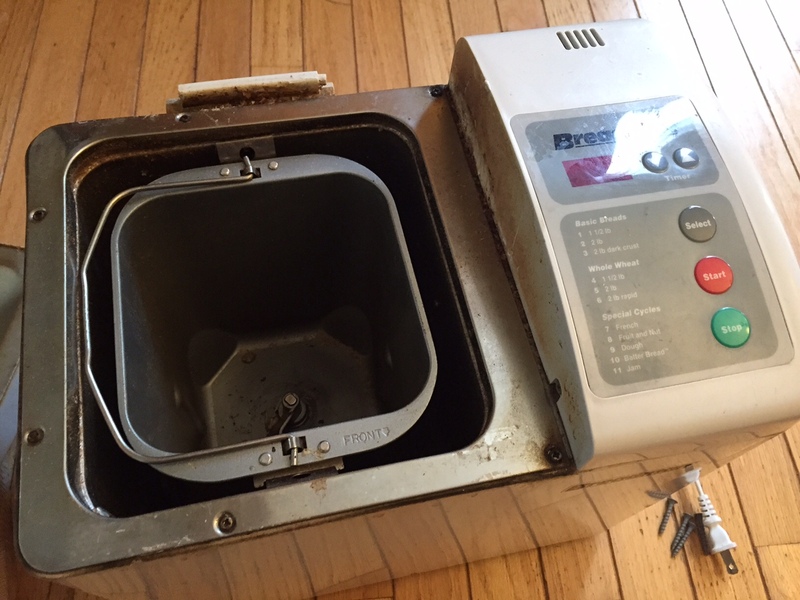 Step 8: Place the lid on and turn on the heat gun AND DO NOT LEAVE UNTIL IT'S DONE. Step 9: Wait and listen. You should hear “first crack” (a hissing popping sound that the beans make) in the first 5-8 minutes. If you remove the beans right after first crack, this will be a very light roast. So you may want to let them roast some more. 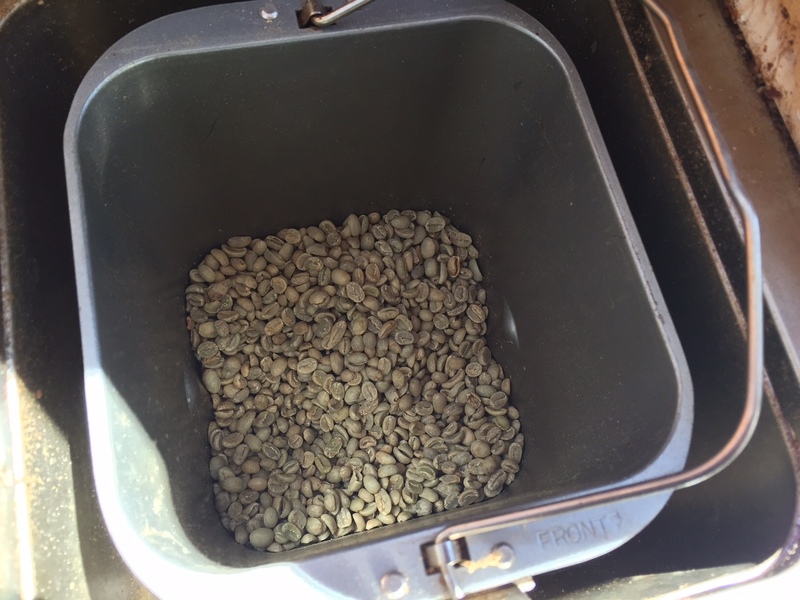 Once the beans have reached a medium-dark roast, you will hear the “second crack”. During this crack, small parts of the beans actually pop and fly off. This is where I remove the beans. If you want to go darker, continue to roast even more. It could take anywhere from 10-16 minutes to reach second crack. Ideally, you will want to reach second crack around 15 or 16 minutes, but no big deal if it doesn't. If you leave them in longer, they will get even darker. A dark french roast will leave the beans looking a little shiny as the oils have been pushed to the surface of the bean… a little too dark for me. Step 10: Pull the beans out. Once you have reached the desired color, it's time to pull them. But don't waste any time. They can go from medium-dark to dark in a matter of 30 seconds. 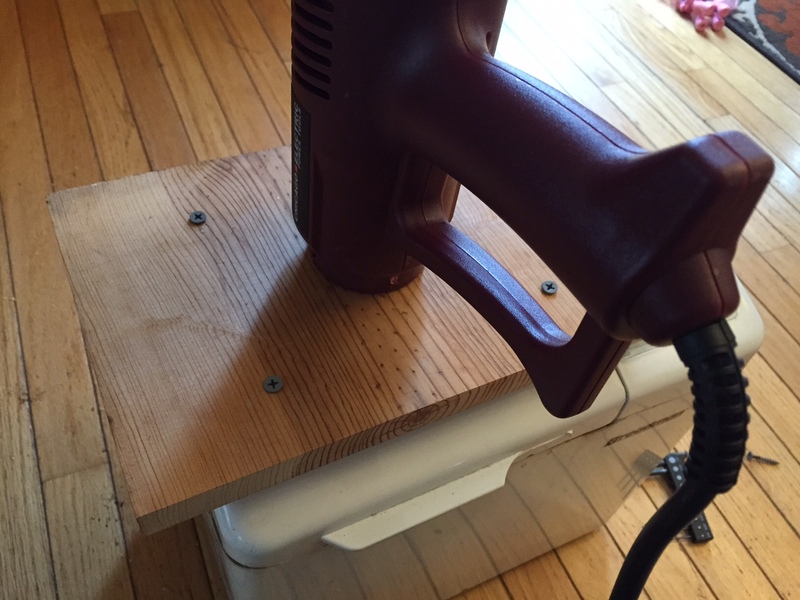 Turn off the heat gun and remove the lid. Turn off the bread machine. Make sure your cookie sheet is placed somewhere nearby. Put your oven mit on. Grab the bread basket out of the bread machine and pour the beans on the cookie sheet. Spread them out evenly and allow them to cool. You will immediately notice the difference in smell and flavor. Even if your first few roasts don't turn out perfect, the coffee is still awesome and lightyears ahead of anything you could buy at the store.